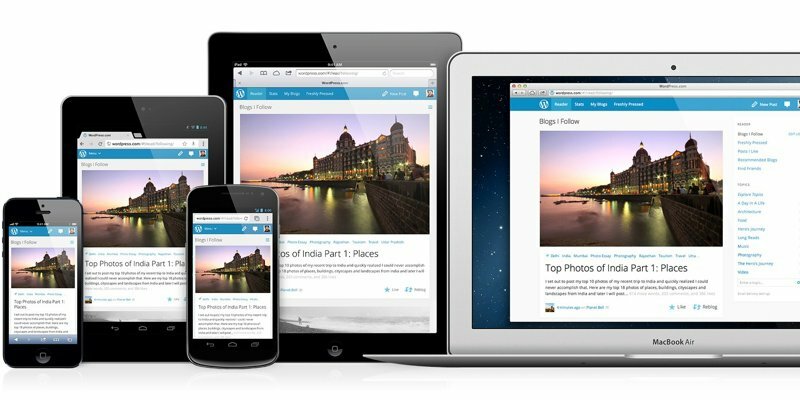 Here’s a quick CSS hack to make images responsive on your WordPress site. Usually, a well written WordPress theme takes care of the image resizing for all displays. But in some themes… although the theme was sold as “responsive”, you might have problems where images are not resized on smaller devices. 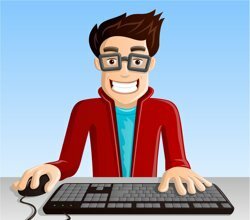 There’s no need to custom code a plugin or modify your theme’s code. 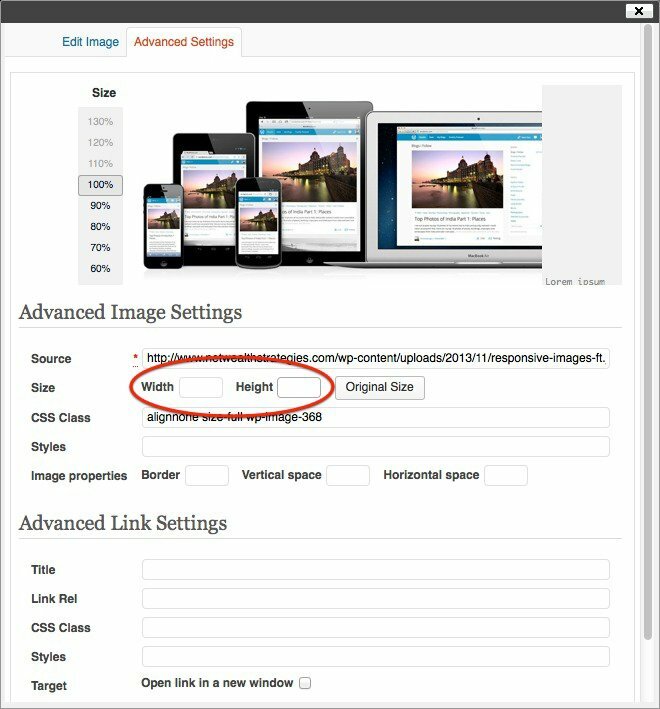 Just insert your image normally into a WordPress post or page using the “Add Media” tools. The main trick here is to modify the dimensions of the image after insertion. Edit the image (by selecting the image and clicking the Edit Image icon in the top left). Remove the Width and Height attributes. Add the following CSS code to your theme. If your theme has CSS options, add it there or to the style.css file (in the parent or child theme if needed). Save your post, view / refresh the post and you will see that the image is now resized (responsive) as the browser width narrows. The image will not “snap” to pre-defined media display sizes, but it works fine for most themes. Make sure the original image size is larger than max container size. e.g. If a column width is 250px, ensure the width of the original image is at least 250px as well.